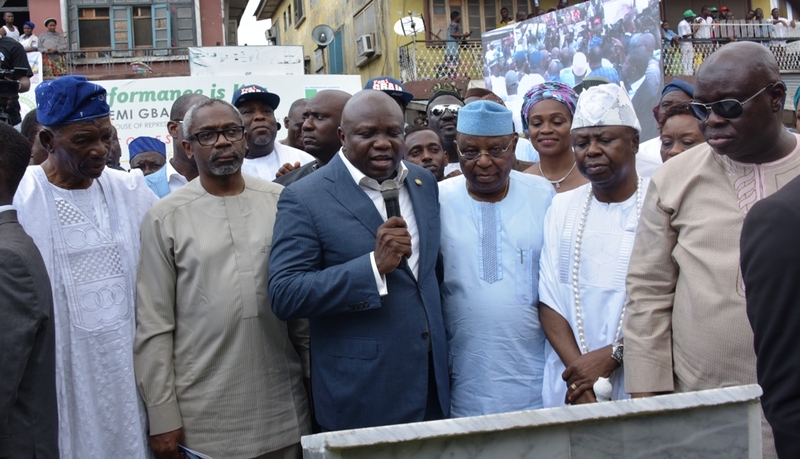 Lagos State Governor, Mr. Akinwunmi Ambode (2nd right); Majority Leader, House of Representatives, Hon. Femi Gbajabiamila (right); APC Chairman, Lagos State chapter, Otunba Henry Ajomale (middle); member, Lagos State House of Assembly, Hon. Desmond Olusola Elliot (2nd left) and Sen. Tokunbo Afikuyomi (left) during the commissioning of reconstructed Modele/Matthew Road, Surulere, built by Hon. Gbajabiamila, on Friday, March 2, 2018. 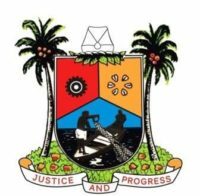 Lagos State Governor, Mr. Akinwunmi Ambode (middle); Majority Leader, House of Representatives, Hon. Femi Gbajabiamila (left) and APC Chairman, Lagos State chapter, Otunba Henry Ajomale (right) during the commissioning of reconstructed Modele/Matthew Road, Surulere, built by Hon. Gbajabiamila, on Friday, March 2, 2018. 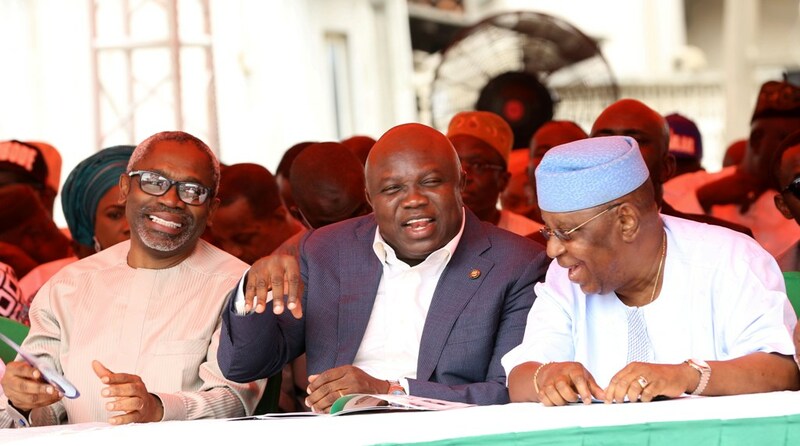 Lagos State Governor, Mr. Akinwunmi Ambode (middle); Majority Leader, House of Representatives, Hon. Femi Gbajabiamila (2nd left); APC Lagos Central Senatorial Leader, Prince Tajudeen Olusi (left); APC Chairman, Lagos State chapter, Otunba Henry Ajomale (2nd right) and Onikate of Ikateland, Surulere, Oba Lateef Atanda Adams (right) during the commissioning of reconstructed Modele/Matthew Road, Surulere, built by Hon. Gbajabiamila, on Friday, March 2, 2018. 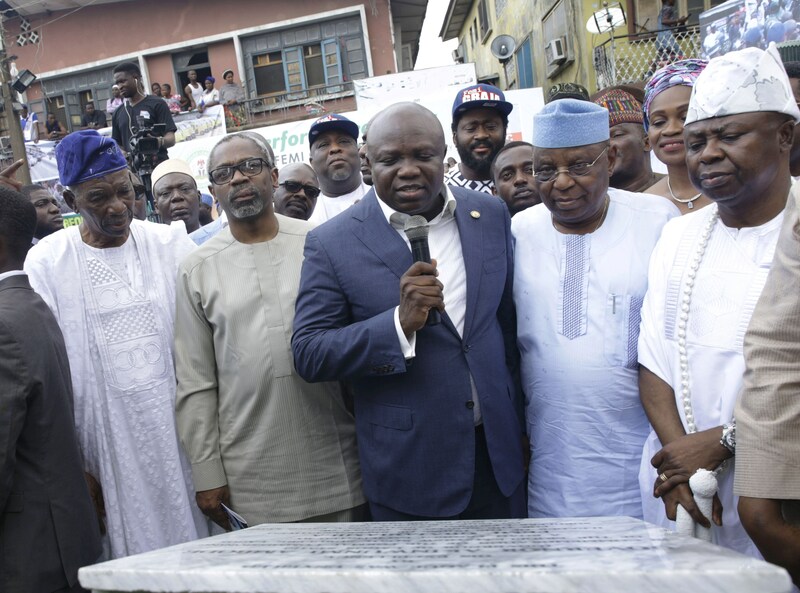 Lagos State Governor, Mr. Akinwunmi Ambode (3rd left); Majority Leader, House of Representatives, Hon. Femi Gbajabiamila (2nd left); APC Lagos Central Senatorial Leader, Prince Tajudeen Olusi (left); APC Chairman, Lagos State chapter, Otunba Henry Ajomale (3rd right); Onikate of Ikateland, Surulere, Oba Lateef Atanda Adams (2nd right) and former Speaker, Lagos State House of Assembly, Hon. 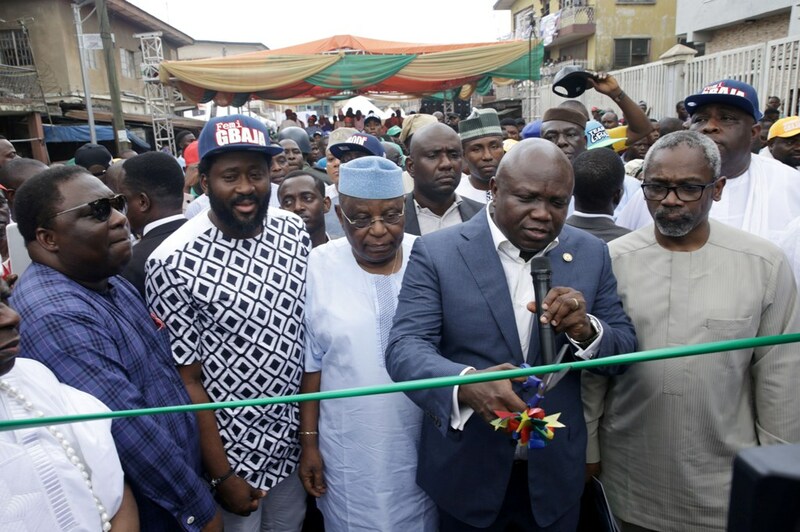 Adeyemi Ikuforiji (right) during the commissioning of reconstructed Modele/Matthew Road, Surulere, built by Hon. Gbajabiamila, on Friday, March 2, 2018. Ongoing construction of Ijebu Road, Epe being built by the Lagos State Government. AMBODE ATTENDS THE 9TH ANNUAL BANKERS’ COMMITTEE RETREAT AT THE RENAISSANCE HOTEL, ISAAC JOHN STREET, IKEJA, LAGOS.